We have all met those individuals who bring such warmth and humility into our lives. Individuals who challenge us to grow in ways that we assumed were otherwise impossible. I had the privilege of sharing 18 years with my father. He was a man who was always smiling, laughing, and genuinely enjoying every second he was given. Here are 18 lessons that I learned from my favourite man. Never burn your bridges. There will be times in your life where things get heated, and you may want to use some spicy language. I urge you to always think before you make a move. 2. Be humble. There is no need for you to make your fence taller when you can make your table longer. When you go out of your way for others, make sure you expect nothing in return. The greatest reward is witnessing others live a life of fulfillment simply because you helped them realize how special they are. 3. Prioritize. I get it, we are all busy. Let’s just be clear though — you are never too busy to be there for your loved ones. 4. Be confident. In the wise words of my father, be your own “legendino.” You have a purpose and the world is just blessed to have ya here. 5. Showing emotion is not a weakness. I repeat, it is not a weakness. If you love someone, tell them. Miss someone? Well, guess what? You can also tell them that. There is a negative connotation attached to showing your emotions. Why is that the case? For some reason we seem to think that our pride is more important than someone knowing how much they mean to us. Reality check, life is too short to regret the chances you’ve missed. 6. Being different is a good thing. Do you laugh like a hyena? Well, that is honestly awesome. It’s our little quirks that make us unique and amazing. Be proud of who you are. Out of 7 billion people in this world, only you can be you. 7. Understand your responsibilities and obligations. There may be times where you just want to watch a movie in your pyjamas, but instead you have to go run errands for your mom. That’s just life. Always be there for your family. Regardless of the time, you run for them. 8. Be kind. You never know what anyone else is going through. A simple “hey, how are ya?” might just be what someone needed to hear. Listen to others and help everyone you can. We all have a role in society, and the first is recognizing that we are all human. No one is better than anyone else. Regardless of all of the credentials you may have on that resumé of yours, you’re human before anything else. Be kind, genuine, and loving. 9. Nothing worth having comes easy. If it’s worth having, then you need to work hard for it. Put your best foot forward and push yourself to your limit. There may be obstalces that get in your way, but if you believe, you can achieve — as cliché as it may sound. Now, go on, make your dreams come true. 10. Love unconditionally. Where there is love, there is no pride or ego necessary. Oh, and it doesn’t need to be documented on instagram to be real. Love is about two souls meeting and dancing in the moonlight. Sounds like a fairytale, right? Well, true love can exist, and I was so blessed to see it every time I was around my parents. I have yet to see a human love another human the way my parents loved one another. They showed me that mutual respect, kindness, and selflessness are crucial in a relationship. 11. Be ridiculously passionate. Have a dream. A passion. A love for life and every precious second that you’ve been blessed with. Take risks that scare you. The times a tickin’, so get a move on. Get to know yourself. Get in tune with your thoughts and emotions. Express yourself. There is nothing quite as beautiful as an individual who is passionate about living life, their way. 12. Laugh it out. Hey you, why you gotta be so serious? Throw on your favourite mixtape and dance it out. We all have bad days. I get it. But, happiness is a state of mind. Try to find the beauty in everything that life throws at you. 13. You can’t take money to the grave. What’s the point of saving all of this money when you could help others and actually live your life? Get on a plane. Go on adventures. Material items are not the true forms of wealth in our lives, it is the relationships we share with others, the lessons we learn, the places we see, and the happiness we feel. 14. Aspire to inspire. You have a purpose and you were put on this earth for a reason. Your time is now. Encourage others to strive to be the best that they can be. Try to always be positive. Sometimes, people need to be reminded of how much potential they have. 15. Choose your battles wisely. Always take the time to think logically before you make decisions. Your actions not only impact others, but you as well. More often than not, it is better to walk away from a situation, rather than taking action solely based on emotions. Sometimes, it is not worth the fight. You know your worth and your values, do not let anyone or any situation control who you are. 16. Always smile. 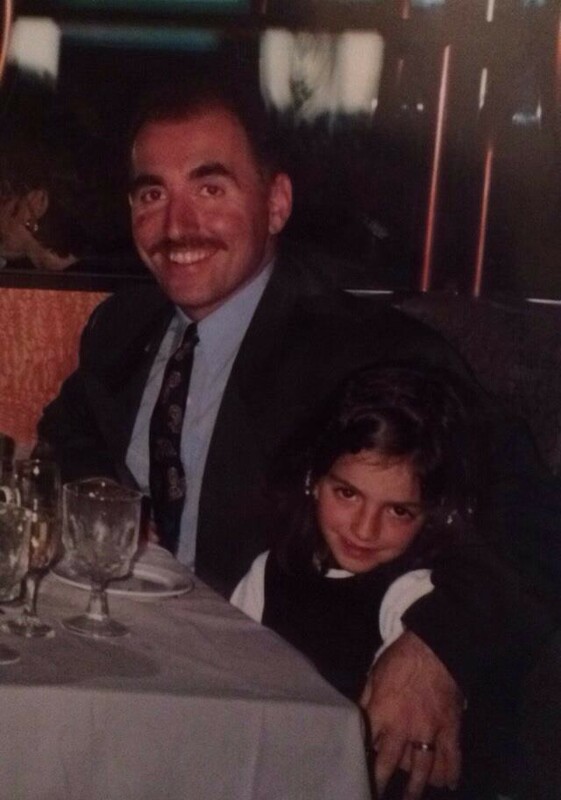 My dad had the most infectious smile. Anywhere he went, people gravitated towards him. He was a happy person who was full of life, and his smile showed just that. When you smile at the world, it smiles right back. Seriously, just go try it! 17. Music is good for the soul. Maybe you don’t like all genres of music, but there’s no harm in learning about them. Blast that AC/DC and then sway to your favourite Motown hit. Music is art in its rawest form. An appreciation for music, is an appreciation for art, human expression, emotions, and so much more. 18. Enjoy the little things in life. Go on a country drive with your loved ones. Have a picnic on a summer day. Take advantage of every second you have. Make memories, that’s what life is all about. In life we learn lessons from every individual that we meet. There are humans who will sweep you off your feet because they are just so awesome. My dad was one of those people. I hope that you too have individuals whom inspire you to see how beautiful our world truly is. Now, it is your turn to inspire others. Get out there! We are so lucky to have you here. Here are my thoughts that play like a symphony in my soul.